I adore fruits especially in the summer. 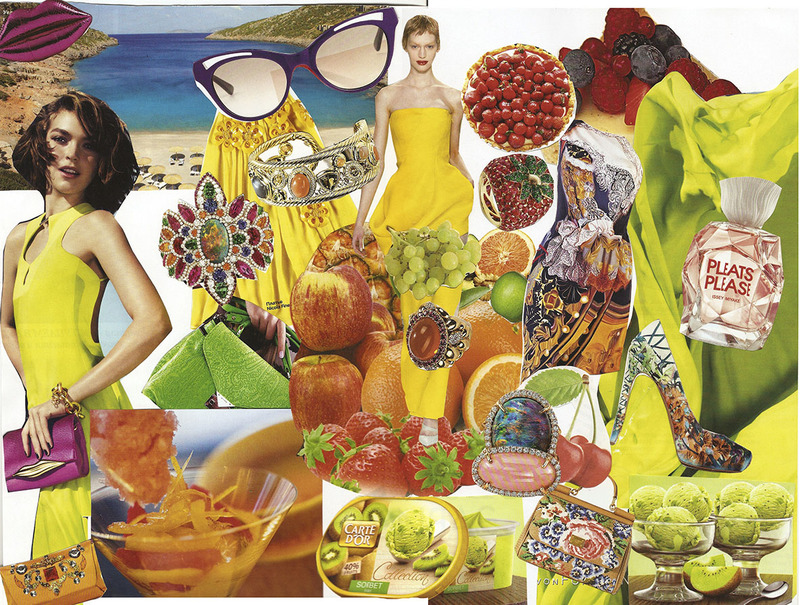 For one contest I've made this collage of fruits and bright accessories and clothes. Fashion is connected with everything that surrounds us. Hi! I love your blog!!! Great post!! I start to follow you on GFC; Tumblr and Instagram! А помните овощную коллекцию Dolce&Gabbana?! В обыденных вещах так много вдохновения на самом деле)! love fruits too. to eat and also printed on clothes! very lovely and fresh images... inspiring! que bueniiisimo! :) Tengo un sorteo en mi blog de varios accesorios Glamberra!! Te invito a participar!, un besito! y Gracias por pasarte! That's very creative, using fruits as an inspiration for a mood board! You are so beautiful with your great blonde hair sweety! Loved your blog so much! If you like mine too, would you like to follow each other? Thanks for comments and your obsession is beautyfull love all details! PS I followed, hope ypu follow me back!)) Nice day! Very tropical, I really like it! Why the name "como loca"?? ?